What are the alternatives for the earbuds that come packed with your smartphones? If you are looking for inexpensive earbuds that fit well, feature an inline-remote, and blow out good sound quality somewhat to your taste, there are many best earbuds choices out there that are fairly inexpensive. They cost less than $30, which I find to be an affordable price. Your purpose may simply be keeping them in your travel bag for occasional use when you normally forget or dont’ want to bring your favorite expensive earbuds. Other folks could be interested in a stylish design since cheap earbuds are available in various colors and even crafted with metalic body. If you’ve adready owned earbuds supplied with your smarphones, you may want to try out these budget eabuds for better music experience. Some people still like to experience dozen pairs of earbuds from many brands rather than just stick to an expensive one. Lastly, it’s quite annoying that your earbuds get tangled each time you pull them out of your pant pocket to use. You will have to solve the mess, so why not try zipbuds or Bluetooth earbuds, the free-tangle earbuds? Here is our list of the 10 best cheap earbuds to buy in 2018 – the list was made mostly based on reviews from verified customers from Amazon, Bestbuy and newegg and websites of product reviews such as Cnet, Thewirecutter, Wired, TechCrunch, What HiFi, Good Gear Guide, PC Mag, Engadge, innerfidelity. They come from different brands, and some of them are engineered with sound signatures. For example, JVC HA-FX101 is for bass head. You also see the variety of earbuds tips and cord design among these earbuds. Finally, you will be able to choose the earbuds that best suits your activities of choice. For instance, like working out and running require earbuds that fit securely. If you are the owner of high-end earbuds or seriously looking for very high sound quality, these earbuds are certainly not for you. But for the entry-level or for casual listening, these cheap earbuds are truly worth it. Great sound for lowest price! These earbuds delivers the full range of sound (lows, mids, and highs) with good sound equality. They have a balanced sound profile for the variety of music audio sources. However it is not for those who need a little extra-bass. The ear bud tips are limited 3-pairs providing resonably good noise-isolating function along with comfort. If you like extra comfort, try Comply Foam TX400 tips (cost more than double price of Ergo Fit). Simple design and feature in-line remote control and mic, Ergo Fit offers every standard you need. You will find them better than earbuds supplied together with smart devices and they could be the standard all in all earbuds. Sony recently released the budget earbuds for sports, the Sony XB510AS. These earbuds come with a variety of eartips and wingtips to ensure your best experience while working. It also features the waterproof, mic and call receiving button. Sony XB510AS’s sounding profile tends to be bass emphasis. But it still level up the treble and keep the mid-range smooth and sweet. With more reliable connection and strong battery life, cable-free earbuds will be the top choice for sports lovers. The Anker SoundBuds Slim Bluetooth earbuds are one of the best sports earbuds. People rated it for excellent build qualility for the price, decent sound performance and reliable Bluetooth connection. The Anker upgraded this model to Slim+, which is waterproofing and has battery battery life. The Anker’s Slim+ shares the same sounding profile as Slim with balanced, neutral sound and average clarity. Lyrebeats M2 has a better build quality and more dynamic sound than our top pick. They offer everything you need for an active lifestyle, whether you go out for a walk, commuting or working out. It has been more then three years since I first posted this article in 2014. I observed the headphones market move steadily to Bluetooth. Cut the wire earbuds even become totally wireless, while regular earbuds with a short cable become cheaper. Anker and SkullCandy are prominent in this category and recently Sony and Samsung also released cheap Bluetooth headphones. It is easy to find a good pair of Bluetooth earbuds that cost less than $30. For those of you who are struggling with earbuds cable while running or working, a Bluetooth headphone is exactly what you look for. I would recommend the TaoTronics. It fits and isolates noise well, the wingtips are easy to fit to keep the earbuds securely. Rugged construction with sweatproof feature make it ideal for sports. All combined with decent sound quality, this set will lift your mood in vigorous excercise. Recently I discovered a great pair of unsealed earbuds, quick note about this type of earbuds: no eartips so they don’t isolate noise well. In return, they are more comfortable than sets with eartips that fit into your ear cannal. I have been using it for a month. Besides great build, lightweight and comfot, it sounds good with clear highs and moderate bass. Amazon with their business model make the earbuds’ prices drop significantly. These pairs are good for general use and they are the bang for the buck, but I am not sure they are designed for sports. Their housings are plastic, metal or wooden. Looking, like a very tiny grenade the JVC HA-FX101 offers the prominence of bass with lowest price under $10. If you always wants sound dancing in your ears with a little strong bass, the JVC HA-FX101 is surely the starting point. The downside of these earbuds are the treble is not very clear and it’s distorted a bit at high volume. Meanwhile if you only listen to dance and don’t play other types of music, they’re fine. These are a great choice if you want try something new on the market. Because Amazon offers smartphones, they now make earbuds for their phones as well. If you are interested in Amazon earphones, Amazon Premium Earbuds come with the new Fire phone of Amazon. They also are sold separately at Amazon. They are currently sold with the price tag of $24.99. The design overall is very impressive. The earbuds that are listed here may seem cheap, but their sound isn’t cheap and you’ll want to purchase them over and over again because they’re so satisfying at such a good price. Some people think of new models are actually equiped with the same components from previous version and they’ve just changed the design. Personally, I agree. The manufacturers change the design and sizes of earbud housing to optimize the sound. And users may experience the same sound quality in different shape and color of more polished earbuds. On the other hand, the built quality may be improved in term of material and construction; for example, they come with lighter weight, they’re more comfortable to wear and they’re more durable. For a newbie to the world of sound, this doesn’t really matter much. Panasonic RP-TCM125 Ergo Fit with in-line remote and mic–the upgrade of Panasonic RPHJE120S, The in-ear headphones seems to keep their position as the best earbuds under $20, Panasonic has not changed the design from the previous model, which comes up on a lot of reviews as being buyers’ favorite. These very rare headphones offers a fairly good sound quality with the cheapest price, though Panasonic has been developing many models for sport, which turns out to be durablity or sound quaity issues. As you can see the prices of earbuds are dropping year after year, because the new technologies applied are cutting down the cost for manufacturing. Meanwhile some high-end headphones are more expensive, that’s because the high-end is more customed to audiophile and indeed, they are not popular. Getting a standard earbud is not tough, you can get one with $20 you can get one. For the cheap earbuds, the design and comfort will be the factor most people consider, because you will notice a little difference among these earbuds in this category. We’ve seen headphones market trend toward to Bluetooth over years, since they are convenient and getting better in terms of sound. For active personalities, the LyreBeats-S1 are truly worth it. They fit securely and are incredibly comfortable. They sound good and have long lasting battery- 7 hours. With companion Android app, you can track its location and check battery status to charge them up, so you never miss your beats on the go. Sennheiser CX 300 II delivers good sound quality for earbuds under $30. These are a good alternative of Xiaomi Piston if you are a fan of Sennheiser. The bass is a little bit less powerful than the Piston 2. The CX is very durable and great for sports. Sennheiser also has Sennheiser HD 202 II, over the ear headphones with closed-back design, which is comfortable and excellent sound quality for the money. XiaoMi has held the reputation for most dominant smartphone manufacturer in China for recent years. 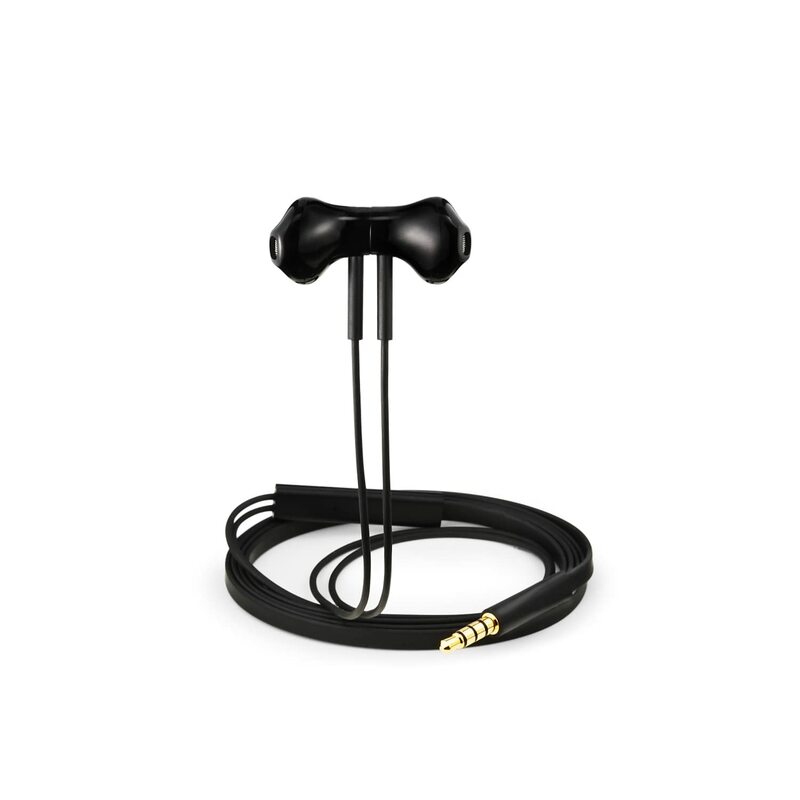 Constructed solidly by a metal body the Piston’s bass goes beyond other earbuds with same or higher price. The Xiaomi Piston (as it looks) 2 delivers good sound quality and features a 3-button inline remote for picking up a phone call and navigating tracks. Nice try for Bluetooth category! Aside from flat cord, Soundpeats offers sercure and comfortable fit with earhooks. You can use them for working out or cycling up to 6 hours for streaming music. While the sound quality is not as good as Panasonic Ergo Fit, the Soundpeats Qy7 can connect wirelessly to your devices. Sony in ear headphones appears on the list with the price $15.50. They offer standard sound quality and good features such as in-line volume control, solid earbud housings, and fine design. SEE IT*Note that Sony earbuds at this catergory fail to deliver the balance, some tunes have good detail in treble, but are missing bass, and the other way around. Find out more the best earbuds on the market, sure you will be amazed by the sound. Yes, these 10 earbuds are very good quality. But the prices are really very high! Not everyone could afford such prices, like the students and so on. For beginners I think it’s fine to pay $10 for Panasonic RP-TCM125 Ergo Fit. Just have a look at your wholesales site, impressive! New amazon earbuds is the way to go, yurbuds are easy to break if you sweat a lot. I checked thewirecutter, they reviewed more cheap earbuds. The matter is how do they look, and what is it for, for under $30 i think one doesnt sound significantly better than other. No inline mic for handfree calling.? I think these earbuds are so cute, but how I can buy them in the cheapest price as the original price in my country? and does your company support customers the fee in delivery to others countries? Panasonic RP-TCM125 Ergo Fit features In-line remote and mic, but 120 model doesn’t. And you probably know the later sounds slightly better. Meelectronic M6 earbuds are definitely better than Yurbuds for sports you should include them in this list. Great choices here! I am going to look into these. I have used my beats earbuds for about a year and with in the first 9 months, the one side went out which was so disappointing. Specially because they were $120! I am not going to spend that much on earbuds every again. Thanks for all the information here. I really like a few of these, I will have to try them out for myself!